This is in response tothe blog of http://judithlesleymarshal.com who has been writing on her blog about colour…. rainbows. 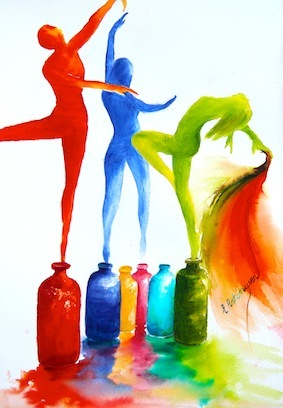 This entry was posted in art, painting, Tasmanian artists, watercolour and tagged bold watercolour, celebration, colour, life, Material Girl, rainbow, watercolour. ← Hello, Black dog………………… now Go!